Today we have a special guest video game review from Max @ Impassionedcinema! Microsoft has once again hosted a campaign entitled Summer of Arcade. In the dry gaming month of mid-July until mid-August, Microsoft signs exclusives for titles that show off what XBLA has to offer. Previous years included such classics as Braid, Limbo, and Castle Crashers. This year didn’t start out great with a re-mastered Tony Hawk game and a Kinect-only game. So does Deadlight buck that trend? Not really. 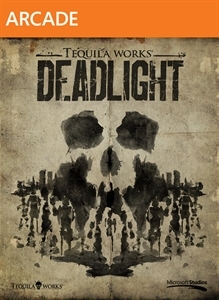 Deadlight is the first game from Tequila Works and was published by Microsoft, so this will be an exclusive Xbox game for sometime. It has elements of survival horror mixed with platforming and sidescrolling action. On paper it sounds like another classic XBLA entry, so where did they go wrong? The storyline is one of most troublesome areas. Saying that the survival horror elements are overused would be an understatement. Our hero, Randall Wayne, is on a mission to find his wife and daughter in what appears to be a zombie apocalypse. Now they never refer to these mindless creators as zombies, they are just called shadows. 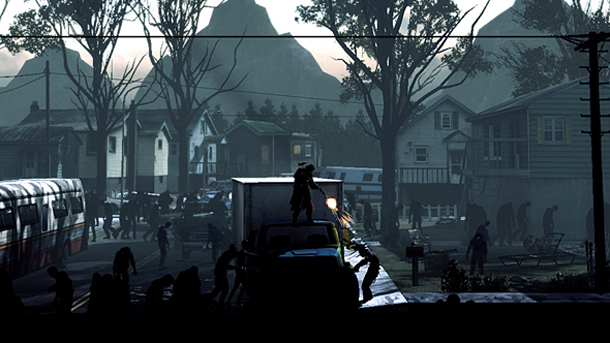 Akin to Walking Dead, the shadows aren’t the only enemies here since the humans are out of control as well. Thankfully, all the story elements are skippable (including the ending), so if you just want platforming, skip past them all. The gameplay will more than make up for the poor story right? That’s a big no. In a mixture of two highly acclaimed XBLA games (Shadow Complex and Limbo) the games has difficult platforming, action, and a mostly black color scheme. There’s also puzzles mixed in for good measure, but they are so easy, I never once found myself stuck trying to figure something out. The only time I did get stuck was because of the platforming. Deadlight isn’t sure of what audience it is catering towards. On one hand, some of the jumps are easy to telegraph. On the other hand, if you don’t press jump at exactly the right time you’ll die and get sent back to annoying loading screens. Deadlight likes to promote the trial and error approach. Walk ten feet, die because something unexpected happened, go back and try again. Rinse and repeat. I didn’t expect to play Dragon’s Lair when I bought this game, but the repetition is ridiculous. Many times throughout my playthrough of Deadlight, I questioned why I spent $15 on the game. It was probably the promise of high-quality games Xbox Summer of Arcade has been known for over the years. It could’ve also been the mixture of Shadow Complex and Limbo (two of the best downloadable games on the system). 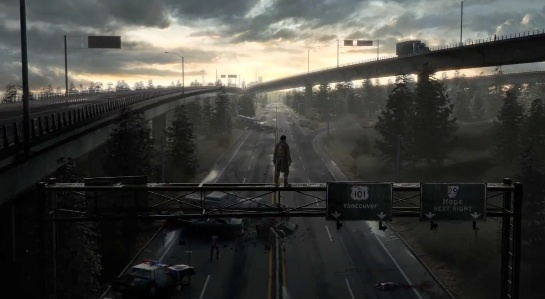 Needless to say, Deadlight was an incredible disappointment and I’d go as far as to say some of the game is broken. While I made my way through to the end, there were too many instances where I was honestly fed up with the game. Hopefully one of the other two Summer of Arcade titles impress because otherwise this summer will be a huge disappointment. I was thinking about downloading this – I’m now glad I didn’t. I used to love the hell out of Tony Hawk 1 and 2. I downloaded the demo of Tony Hawk HD and was highly disappointed. It’s better off in the past. Skip Deadlight until you can get it for 5$. Even then I wouldn’t recommend it though given the high level of frustration I had with it. Thanks for the heads up on this, Max. I was pretty interested in Deadlight when its early footage started to leak out, but it’s a shame the final product turned out to be a dud. Quite the disappointing Summer of Arcade so far. BTW my friend, I’ve nominated you and your blogging for a Liebster Award. If you’re up for it, great! Otherwise, no worries. Thanks.